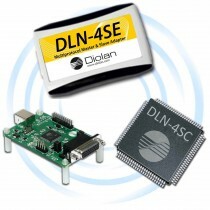 Diolan offers a wide range of interface adapters that you can use to connect your hardware to your computer. 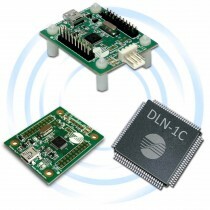 These interface adapters vary by supported interfaces, frequencies, prices and intended applications, but all of them share the same API and can be easily interchanged. 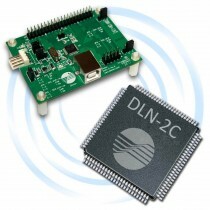 Most of the adapters are also available as preprogrammed microcontrollers (system-on-chip), so you can significantly reduce the final cost by embedding our solution into your hardware. 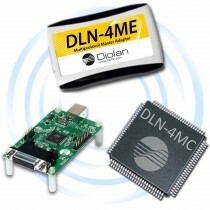 The large number of accessories, ready-to-use software applications and open source examples will help you get acquainted with DLN series interface adapters very fast.